Camps are held in multiple locations throughout US in most major cities! Perfect for beginners and all-stars U.S. Academy Summer Baseball Camps hires and trains high school and/or college coaches from your local area. At U.S. 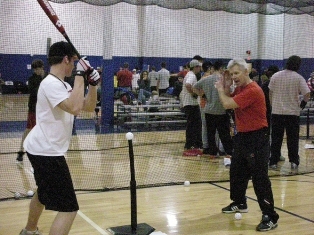 Baseball Academy Spring Training, players learn from some of the areas top high school and college coaches. Hitting and catching sessions are offered through grade 12, including special sessions for girls fast pitch softball at some locations. This is not a lecture clinic. With a low player-coach ratio, each hitter and pitcher gets individual attention in a small-group atmosphere for one hour per week. 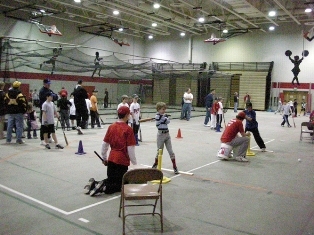 An average hitting session includes about 30 players with six or seven experienced and professionally trained coaches. The U.S. Baseball Academy Youth Baseball Camps is designed to improve pitch and strike-zone recognition, timing, balance, quickness, power, situational hitting, bunting and other aspects. 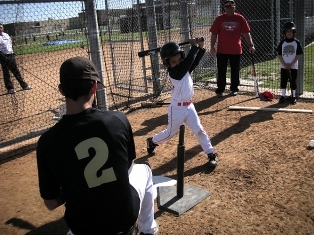 Young hitters build an invaluable foundation and a thorough understanding of the swing, while experienced players cover advanced topics such as hitting different pitches to different fields, hitting curve balls and change ups, and more. Pitching and catching sessions have smaller numbers and the same player-coach ratio. And with numerous age-specific sessions, instruction is specially tailored for each ability level. 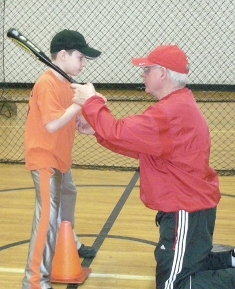 Overall, its the type of intense, professional instruction that young players do not normally have access to. Come see what makes U.S. 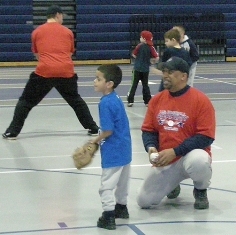 Baseball Academy Summer Camps one of the best summer baseball camps in the country!